This week, the NoVA Weekend Warriors podcast talks fitness, friendship and philanthropy with Reston's favorite fitness philanthropists, the Swim Team Dads! Learn about how the Swim Team Dads "leverage friendship to make a positive impact in our community through fitness, social and volunteer activities." You'll also hear about the upcoming Swim Team Dads night at Glory Days Grill Reston North Point Village, this Thursday, September 6th, 2018! Look for the Swim Team Dads "STD" Jerseys on the W&OD Trail as well as around town throughout Reston, Herndon and northern Virginia. 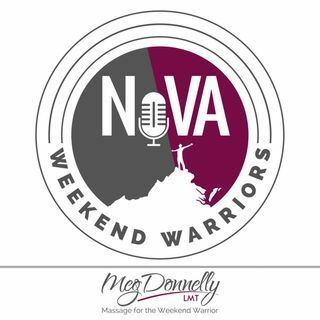 This episode was first published at: https://massagetherapybymeg.com/podcast and https://novaweekendwarriors.com/podcast.